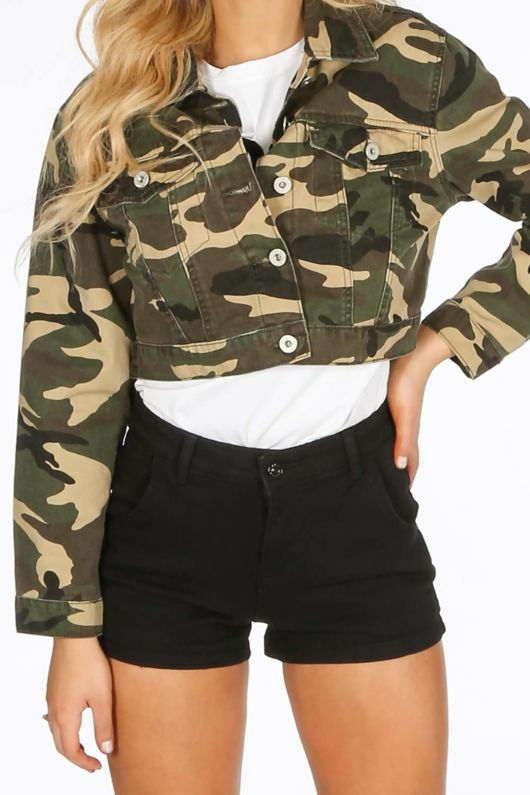 Add a street style edge to any outfit with the Cropped Camo Denim Jacket. 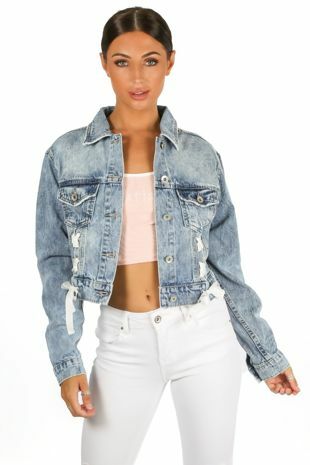 This cropped denim jacket features a military imspired camoflauge print and details silver hardware. Keep the rest of you look minimal with a pair of skinny jeans and a basic tee combo.